Nick Lazzarini (born March 6, 1984), an American dancer. He is best known as the first season winner on the Fox reality show So You Think You Can Dance. He is a trained dancer in jazz, lyrical, hip hop, ballet and modern dance styles. Lazzarini became the first person ever to appear on the cover of Dance Spirit twice, with the January 2006 issue. Beginning in March 2006, Lazzarini became a founding member (of 15) of the Evolution Dance Company, which debuted at the OC Pavilion in Santa Ana, California, alongside SYTYCD alumni Melody Lacayanga and Craig DeRosa. Choreographers in the company include Liz Imperio and Mia Michaels. In November 2011, Oxygen Media announced that Nick, along with fellow dancers Travis Wall, Teddy Forance, and Kyle Robinson, is part of a series in development titled All the Right Moves. This docu-series follows the four dancers as they work to start a new dance company in LA called Shaping Sound. Olin Meadows the Editor of Austin Entertainment Weekly got to talk with Nick for a few minutes about His Company “Shaping Sound” About their upcoming performance at the Long Center in Austin, and what projects they have coming up soon! Austin Entertainment Weekly: What was your inspiration for this production? Nick Lazzarini:We originally were trying to figure out how to showcase as many different ideas and styles of dance as possible; ultimately we decided that a good way to do that was to create a dream world where anything and everything is possible. Austin Entertainment Weekly: This is your first major tour as a company, what changes has this created in the way you interact and relate to each other? Nick Lazzarini: Actually, this is our second major tour. And, we’ve been doing this now for three years. At first it was rocky dealing with egos, with difference personalities, and styles and approaches. But, by now, we’ve become a family and we’ve learned it is so easy to create with the four of us. We work off each other really well now and the process continues to be easier and easier. Austin Entertainment Weekly: What should the audience expect to see when they come to Shaping Sound? Nick Lazzarini: Everything and anything! In this year’s show, the styles of dance in the show range widely, from super contemporary to 1920’s Swing Jazz. Nick Lazzarini: Gosh I hope so. And, actually, we are involved in a TV project that I am not at liberty to discuss at this moment. No, “All The Right Moves” will not be returning, but hopefully you’ll see us around soon and often! But, be sure to come to the theatre to get a little taste of our lives and world and the work we do. Austin Entertainment Weekly: When looking for dancers for Shaping Sound, where do you look? Could any dancer anywhere be considered? Nick Lazzarini: We always have our eyes open for great dance talent. For this year’s tour, we held open auditions in Los Angeles. A Shaping Sound dancer is someone who can light up a stage, somebody who is a star, a dancer with individuality who can bring something totally different to the stage than what the four of us do. We would consider any dancer as long as they have a wide range of dance styles. A ustin Entertainment Weekly: Why do you call yourselves ‘Shaping Sound”? Nick Lazzarini: We consider ourselves visual musicians. The best part about dance for us is watching a piece and seeing the music being played through the body of the dancer. Dance to us is the perfect marriage of music and movement. Austin Entertainment Weekly: If you could dance with anyone living or dead, who would it be? 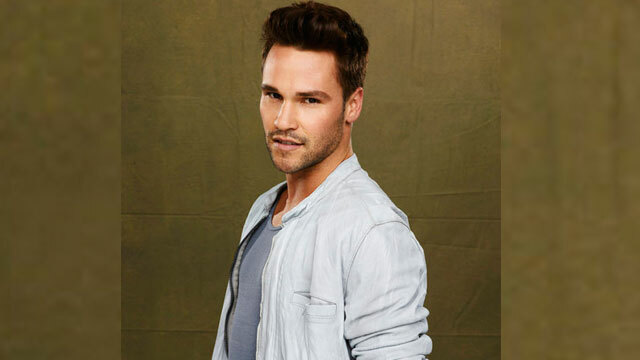 Nick Lazzarini: Gene Kelly or Fred Astaire, hands down. Austin Entertainment Weekly: What advice for young dancers and choreographers do you have? Nick Lazzarini: Make sure you train in as many dance styles as possible. The more well-versed you are in all the different styles, the better chance you will have of becoming a professional dancer. Don’t pigeon hole yourself into being one kind of dancer.